Moving internationally is a very difficult task requiring more work compared to local moving. Aside from the fact that international relocation requires a big adjustment, it requires complex work like completion of all the documents, dealing with customs regulation, ensuring security requirements and accurate coordination. Hiring a professional international moving company will help you accomplish a smoother moving experience. Choose the company who can assist and guide you through the entire process of obtaining the documents needed for port's clearances and shipping your belongings safely. Zealous Mover understands that moving your home abroad can be one of the most stressful experiences. As one of the most trusted moving company in Singapore, we offer one of the most reliable international relocation services. We are committed to minimize the stresses, to make your international move free of hassle and successful in the most efficient way. Our international moving services include international shipment and air freight transportation for your exhibition and household goods. 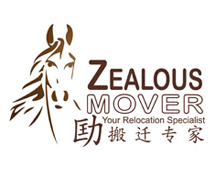 With more than a decade of moving experience, Zealous Mover has become one of the premier international moving companies in Singapore providing both inbound and outbound moving services. We are very well versed with the shipping's protocol. Our team of professional movers knows the importance of understanding the cost, effectiveness, and the options available as the mode of shipment. Our experts will assist you on every step of your relocation from planning, packing, shipping, storing, and moving. We carefully move your belongings without causing them any damage. We keep our customers up to date with all the monitoring and tracking of their belongings following our detailed standard operating procedures. We will make sure that your international relocation is successful and efficient for you to settle in your new home right away. For more details on our international moving services, contact us.